Guten tag! I’m Sho Yoshinaga. whose characteristic Aufguss adds more entertainment elements to bathing. 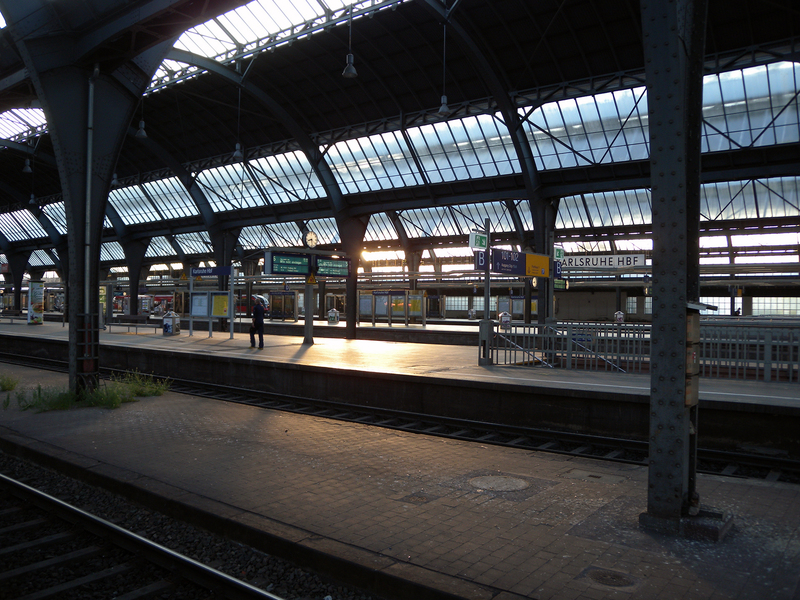 Karlsruhe station. Around the station the roads stretch around radially with the palace at the center. 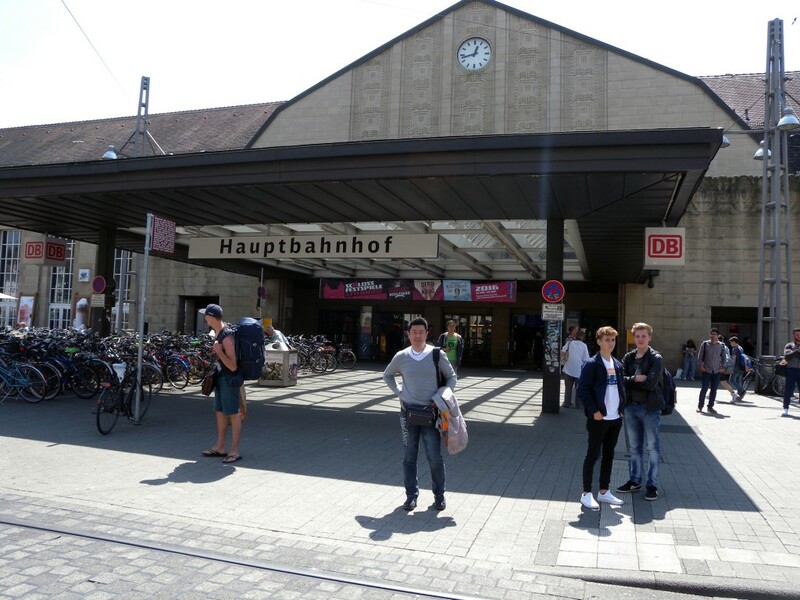 The city is as famous as the city of Mannheim as “The Baroque city of Germany”. The second world war damaged the city severely but when rebuilding it after the war, the same radial pattern for the road network was chosen out of respect for the old. Karlsruhe, an independent city in South-West Germany belongs to the state of Baden-Württemberg, the same as the city of Baden-Baden. The population is 300 000 and it’s the second largest city in the state. 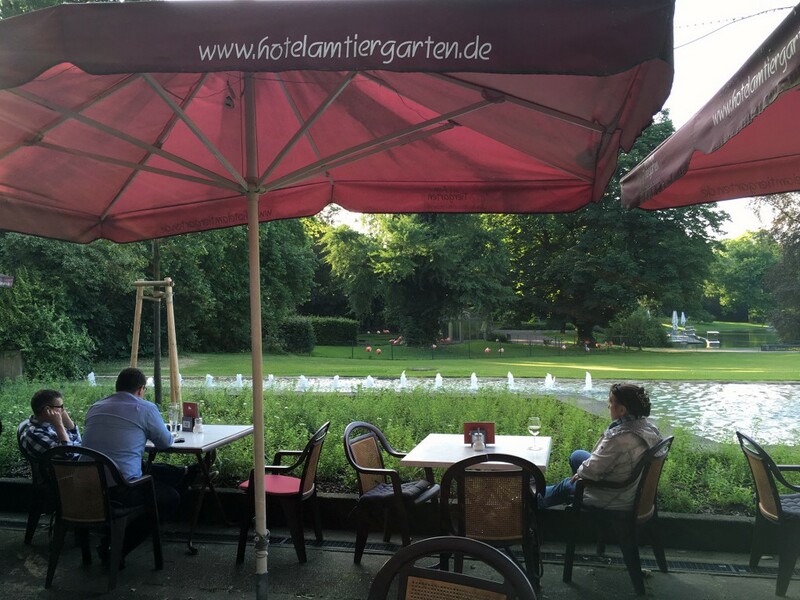 ​The city plays an important part as being the seat of the Federal Constitutional Court and the Federal Court of Justice of Germany, and on the other side being industrial city by vitalized by a connection the river Rhine. By the way, Karlsruhe, which means “Charles’s repose”, seems to be named after Charles III William, who build his palace and a modern city here in the 18 th century. 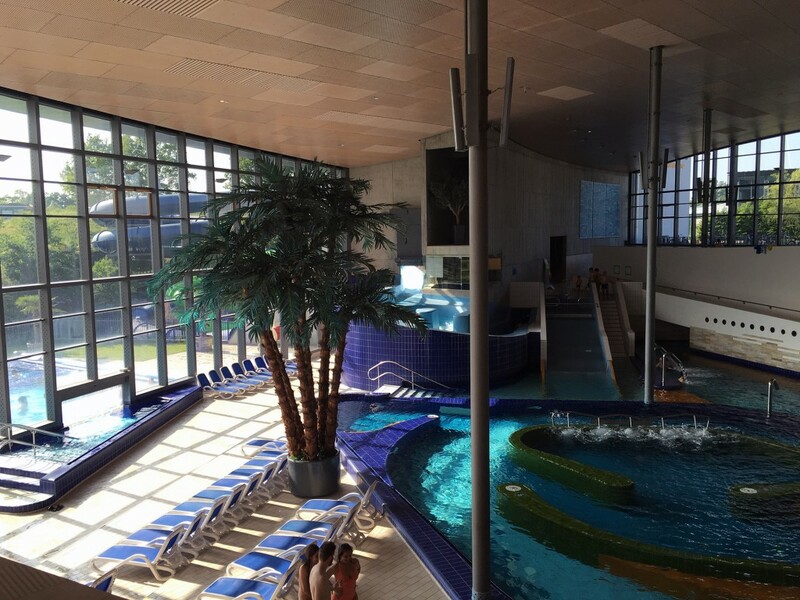 Europabad is located in the South-Western part of Karlsruhe and it is the most popular of the city’s spas and wellness resorts. A plain description of Europabad would be “out-of- town spa with pools, saunas and beauty salons” but the reality exceeds all expectations! Especially I would like to spotlight her pool area and sauna area. The pool area has a lazy river, children’s pool, an outdoor pool inviting you to have fun. 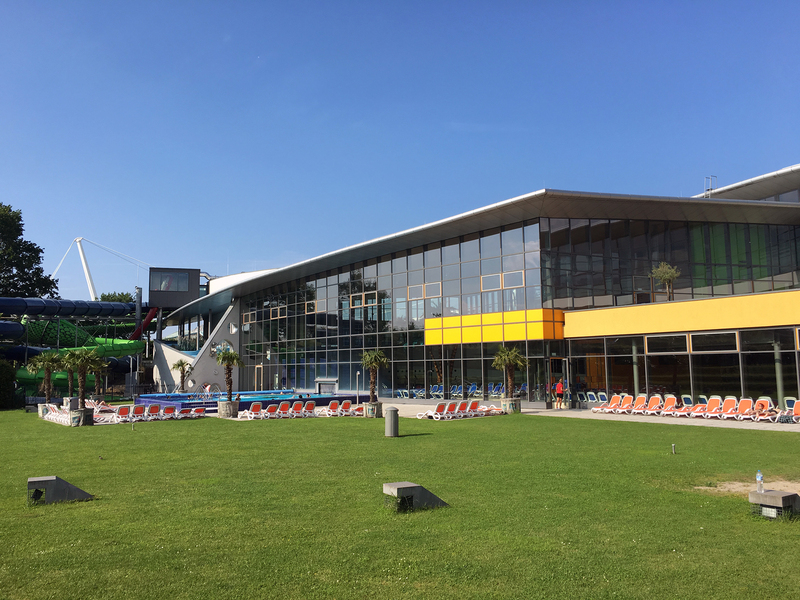 Besides that, it is accommodated with a gigantic high-speed inner tube ride of 170 meters with light displaying tunnels, a water slider with a natural 14-meter steep slope and much more, making it very exiting an attraction. 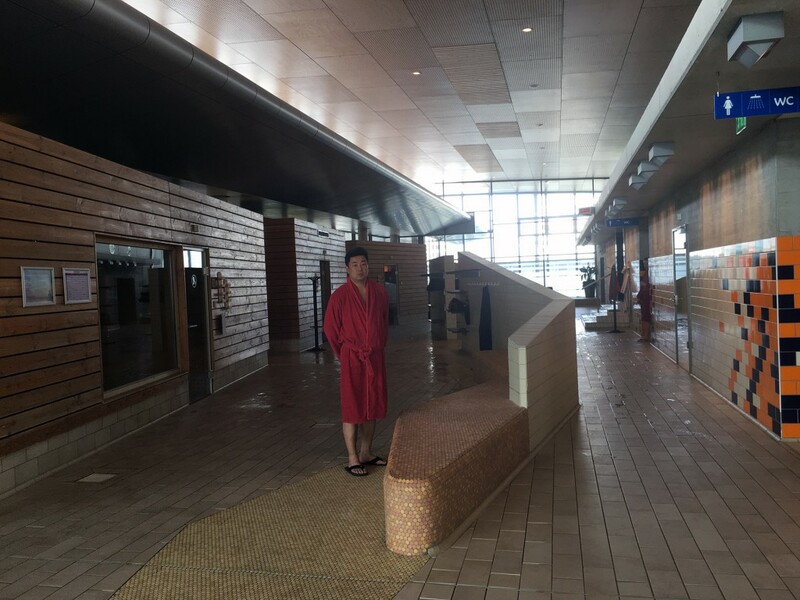 Next, the sauna area: in total, indoor and outdoor saunas included, the sauna area has 8 saunas and each room has been set to a different temperature (45〜100℃). 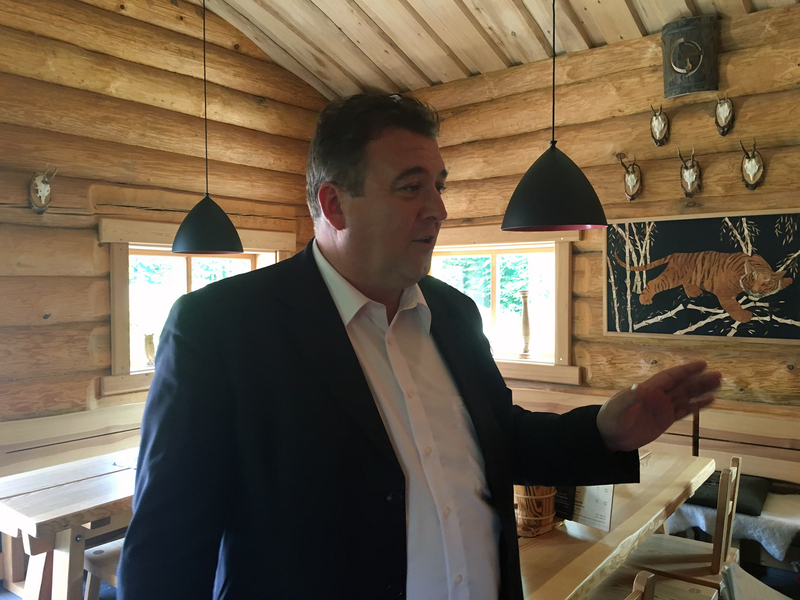 Every sauna has a theme, such as “Finland sauna”, “Russia sauna”, but also more imaginative themes such as “Excalibur Sauna” that draws inspiration from the history and legends of middle-age Europe, “Druid sauna”, etc. Aufguss riding on the theme of each sauna is done in 6 of these 8 saunas. 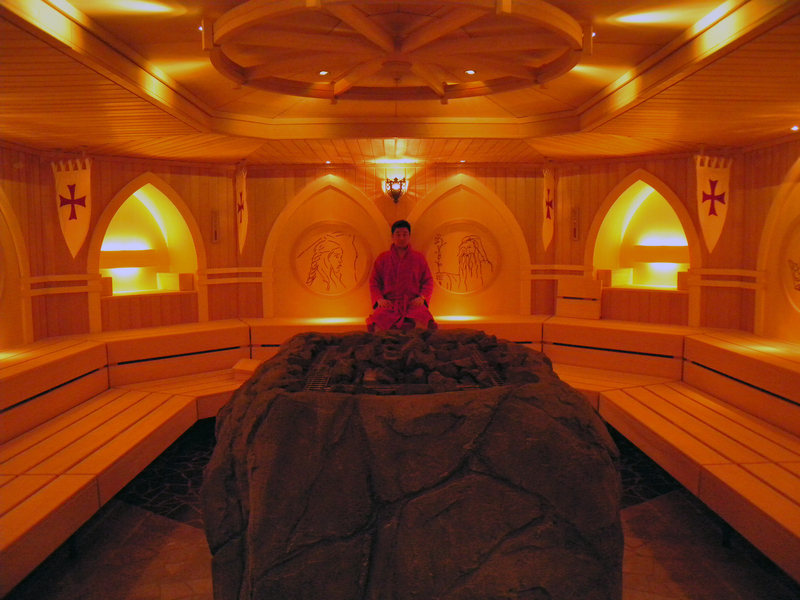 There’s also a private sauna that can be used by advance reservation only. Europabad is a place where you can be entertained in some very colorful situations indeed! 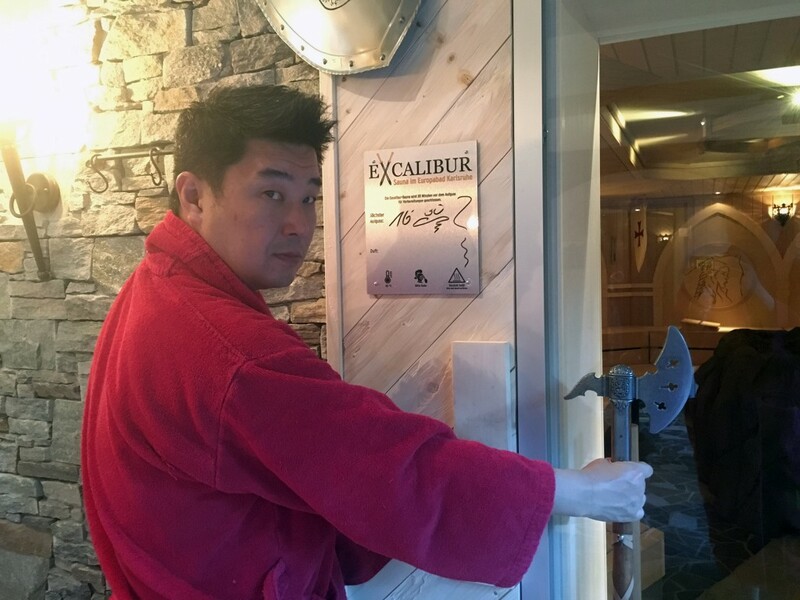 Among these many alternatives, the most popular is The Excalibur Sauna – so that is where I headed right away. 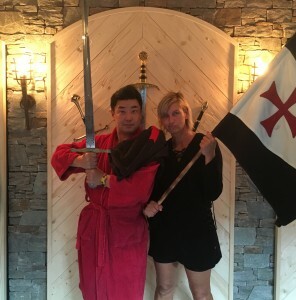 Having entered the door that was inspired by historic martial arts and decorated with armors and swords, on the inside of the room I saw cross pattée flags and on the wall was an illustration of a man holding a cane. This room was truly a very unique work. In the center of the room there was a large sauna stove imitating a large rock and the room temperature was set to 55 degrees. When it was time for the program to start, in came a woman and a rider covered in a black robe. The rider in black inserted a big sword into the sauna stove and placed several pieces of ice on it. Music started. After that, the two of them enacted a tale related to King Arthur! The sauna stove was so gigantic that even I have not seen a stove of equal size in Japan and using ice instead of water on the hot rocks gave a fresh impression. After changing some words with us visitors, the rider started flapping the towel she was holding and by thus sending waves of heat on us. The towel swung back and forth, and the performance filled with subtle techniques made everyone cheer and applause! While skillfully using the towel, sometimes like an enormous paper fan, then changing pattern and using it like large flag, the rider kept forcefully sending one heatwave after another. When everyone seemed to having had their fill, the program came to its conclusion. After they were finished, I addressed the rider and to my great surprise found out that the person was a woman! and that she was a certified saunamaister, a qualification related to Aufguss. She was very hospitable and showed us again the towel performance and the tale she performed just before. 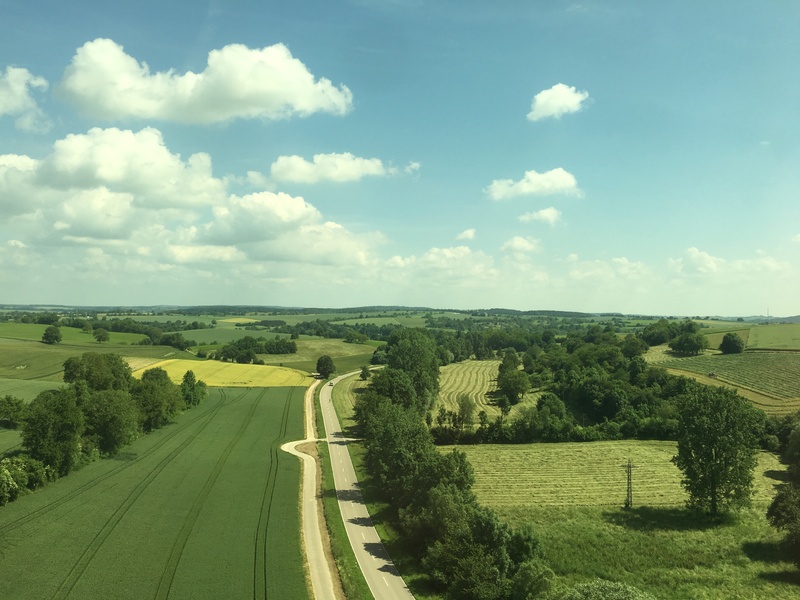 From her we learned how people in Germany enjoy Aufguss to have a good time. 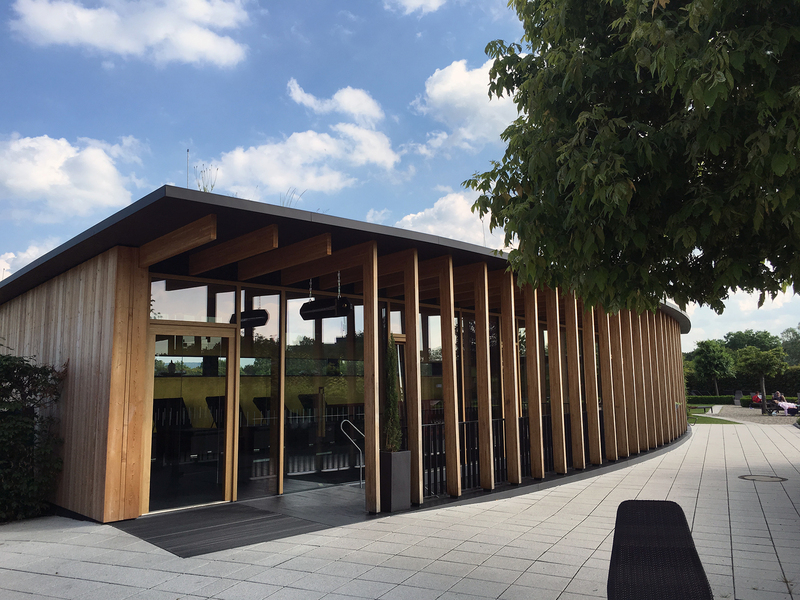 Before leaving, we were able to talk to the managing director of the facility, Oliver-san. 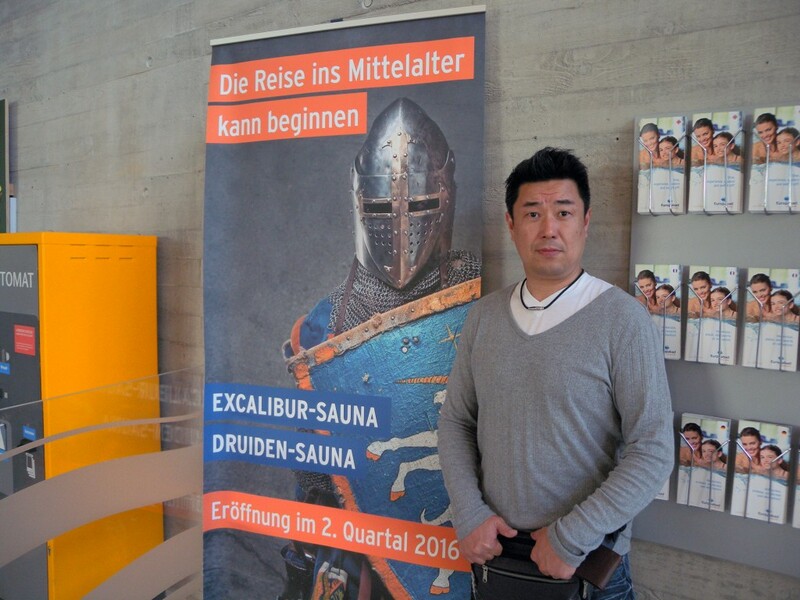 ”There are many facilities in Germany that do not allow persons under 16 years to enter sauna because e.g. 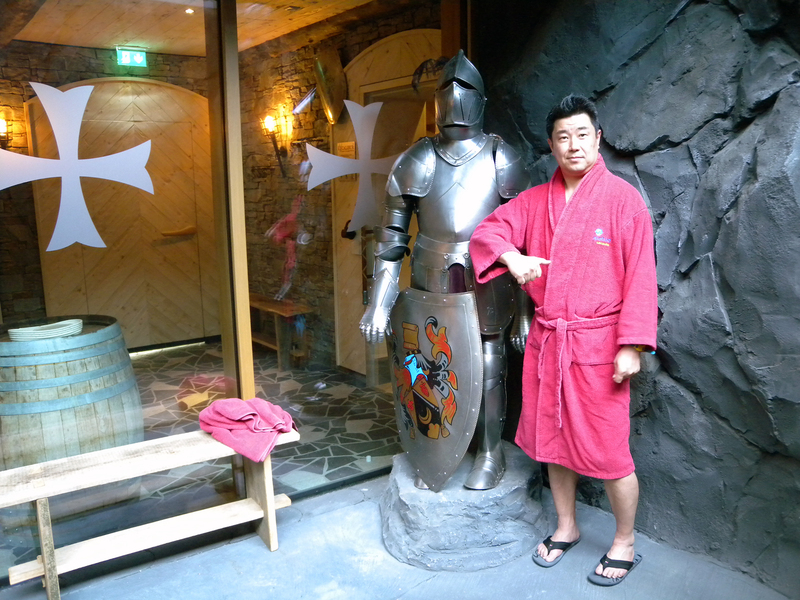 to ensure proper manners but we have also saunas targeting all ages, like our Excalibur Sauna”. Hearing this from Oliver-san, I felt the deepest respect to this set of mind of being wise to the needs of the customers while giving form to something that has not yet been discovered. The amount of information was just overflowing! Even during this short discussion, I could feel the ambition and a great sense for details in Oliver-san’s speech. What’s absolutely marvelous about Europabad is it outstanding entertainment value! And of course their pioneer spirit plays a role too, I think. These ideas are not only about sensing the potential needs of the visitors or a display of great sense in marketing. 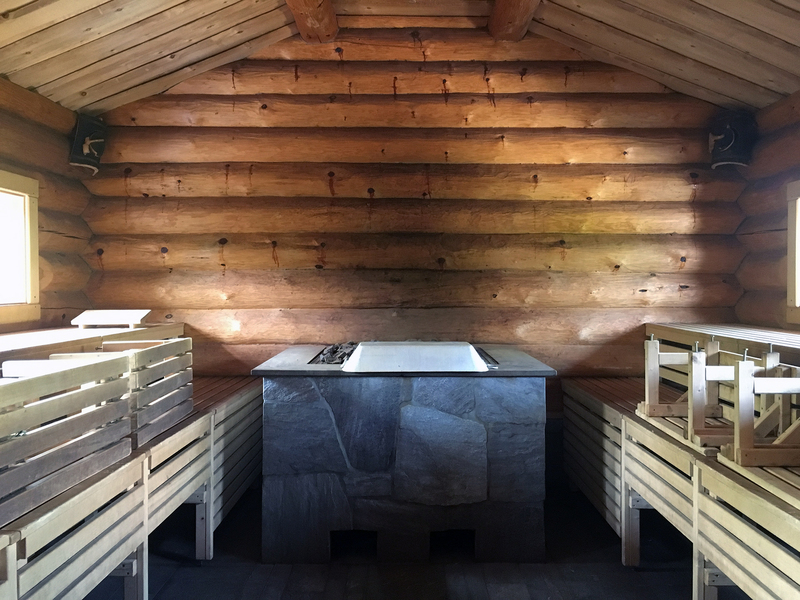 TThey are also conceptions about recognizing the limits of the existing sauna and then taking a step beyond – a display of true pioneer spirit. More than anything, I think this demonstrates the facility personnel mind set of making bathing more enjoyable by creating something they enjoy themselves. Now, having seen this new entertainment side of bathing, the experience surely gave me motivation to walk down further this modern path. Without losing the aim on the traditional purpose, I reckon that I’d like to keep creating form to this idea of《Superior Bathing》- and to have a good time doing so! 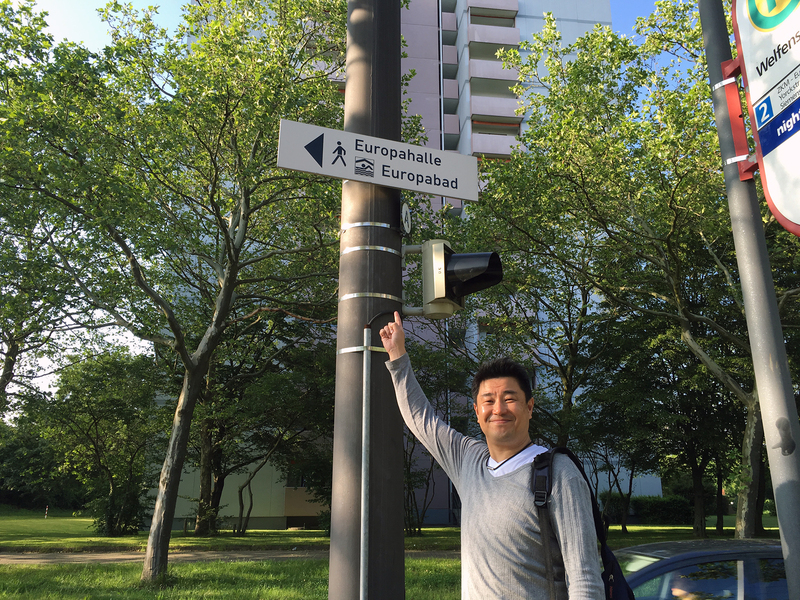 Sho Yoshinaga who is the CEO of Metos Inc. was born in Fukuoka. He has learned the importance of making harmonious coexistence with nature as a boy scout in his youth. His career started as a mechanic in the air force of the Japanese Self-defense Forces, and had often taken sauna together with his colleagues, which gave impetus for understanding the charm of sauna. After working for the air force, he had been working as a sales person in apparel industry and interior lighting industry. 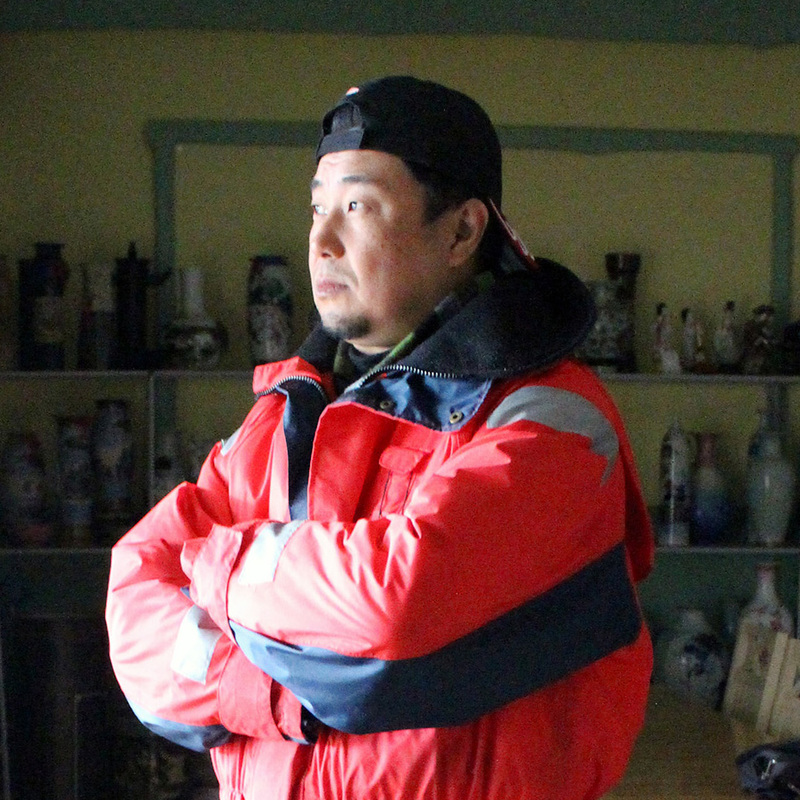 Since 1998 he has been working for Metos Inc., with his creativity and the various experiences while taking advantage of having the know-how of former Nakayama-Sangyo (Metos Inc. previous name). He has been making Metos’s business bigger and bigger, and nowadays there’re 6 branches and over 100 contracted dealers all over Japan. 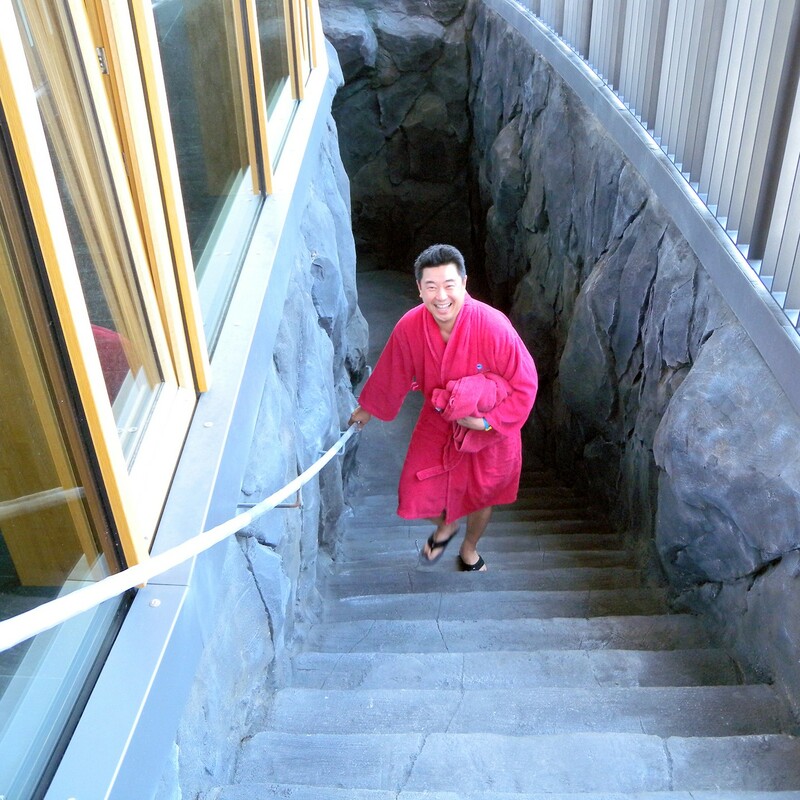 Sho’s always trying to do his best to vigor the Japanese bathing culture, and to advocating new ways to enjoy saunas. 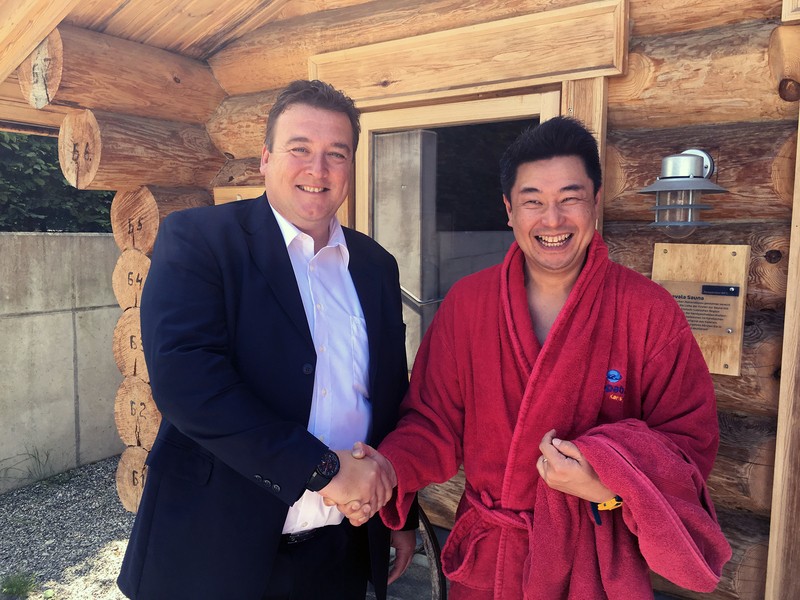 For example, in order to promote the word “löyly” into Japanese spa industry, he has introduced to Japan, previously unknown sauna heaters, such as iki-sauna and Sauna-isness (gas heaters which are löyly-durable). 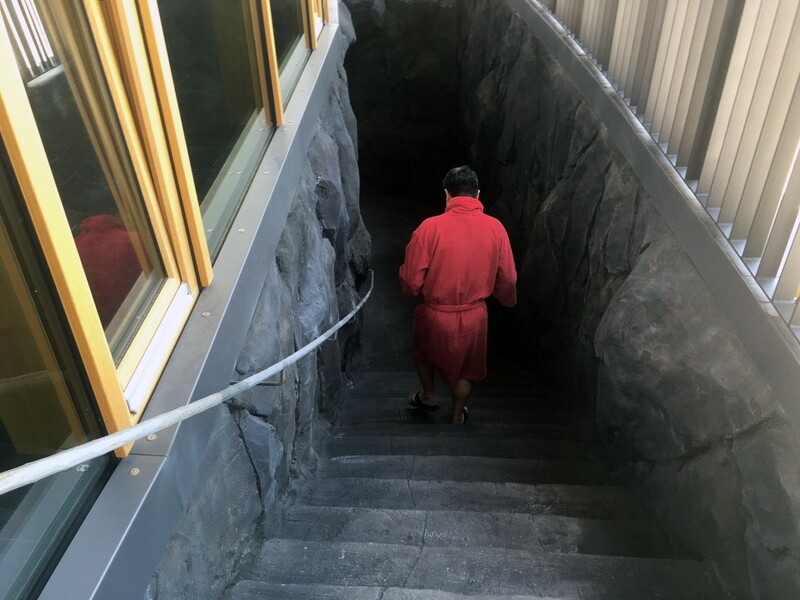 His recent interest is to combine sauna and entertainment/outdoor activities, and one of his project “Neppa-tai (Löyly performance group)” became popular, and last year, he released tent sauna trailer sauna, and log sauna for the enjoyable experience outdoor. Born in Fukuoka prefecture. Member of the board of Metos Inc. Full name: Shoichirou Yoshinaga. 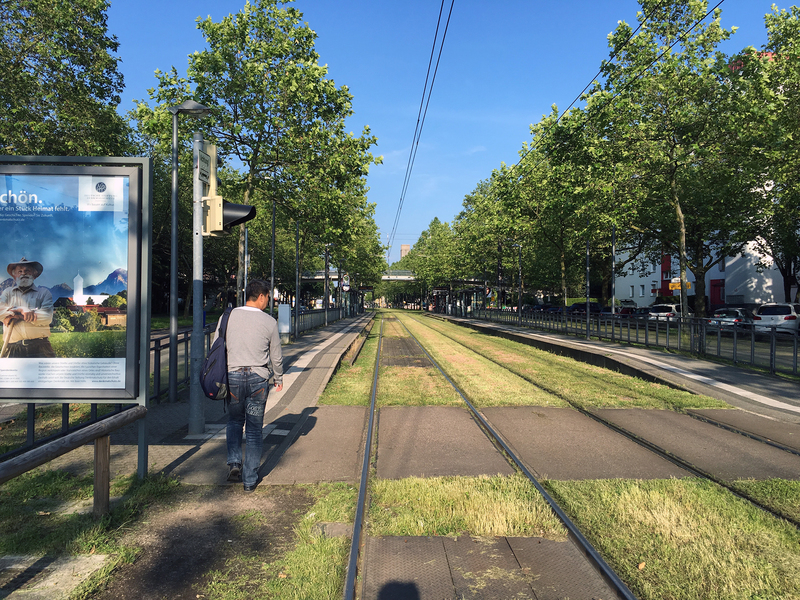 ＜Access＞About 20 minutes by walk or 5 minutes’ ride by tram from Karlsruhe station. This webpage is administered by Metos Inc. for the purpose of introducing and deepening the understanding on various bathing cultures.